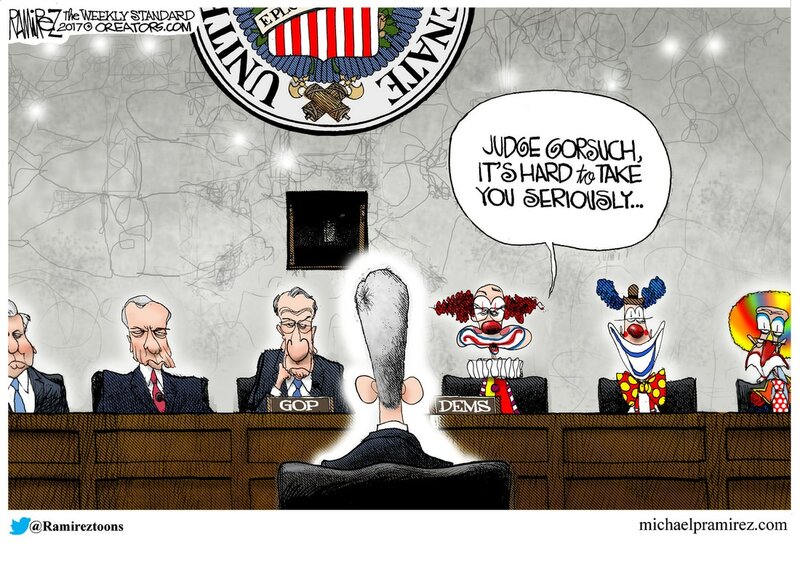 As we have written several times, Senate Democrats made fools of themselves during the Judiciary Committee’s hearing on the nomination of Neil Gorsuch to the Supreme Court. That won’t deter them, apparently, from a filibuster that will embarrass them once more. As Senator Chuck Grassley said, “If you’ll filibuster Neil Gorsuch, you’d filibuster anyone.” Anyone nominated by a Republican president, that is.